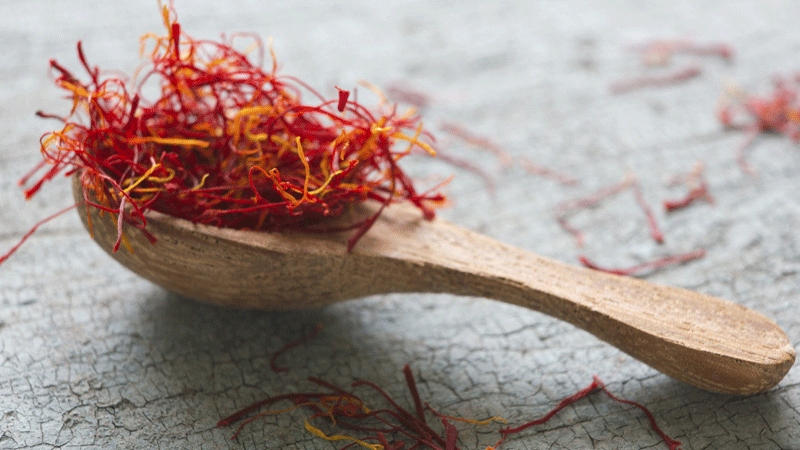 It is a known fact that Saffron is the most expensive spice in the world. This is largely because it takes 75,000 flowers to make one pound of saffron, and the flower is said to bloom only one week of the year. In terms of its benefits, saffron is high in riboflavin and vitamin B and has long been acknowledged for its medicinal uses. So here’s a recipe for a Zaafarani Kulfi that will not only keep you cool this summer season but healthy as well! Soak saffron strands in one tablespoon of milk and set aside. In a separate bowl dissolve cornstarch in water and let it rest. Next, pour milk in a heavy-lidded pan to boil. Once it comes to a boil, lower the flame and let the milk thicken. Wait for half an hour, then add the cornstarch, saffron and sugar to the simmering milk. Stir the dissolved cornstarch before adding to the milk, and keep stirring while doing so. Add cream and pistachios and keep stirring. Let simmer for an hour and a half, or until desired thickness is reached. Add cardamom powder, rose water and switch off the flame. Let the mixture cool and then pour into kulfi moulds. Be sure to freeze the mixture overnight. 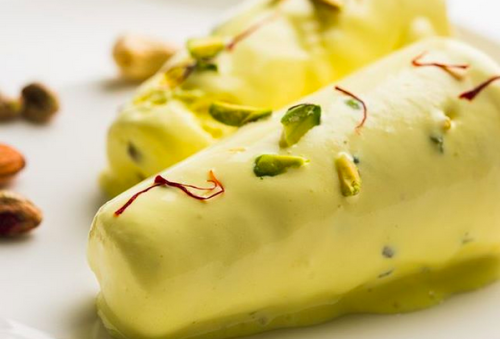 Your saffron kulfi will be all set to eat the very next day!